Sorry folks, Of late, I've been caught up with my professional responsibilities so much so that I've been doing nights, to get over the usual flood of work I get around at this time of the year. Though, I don't have too much time to complete a thought out pending post, thus, I'm simply updating you with some of the recent happenings in my small area. I've got orange marigold blooms in abundance all over my terrace. 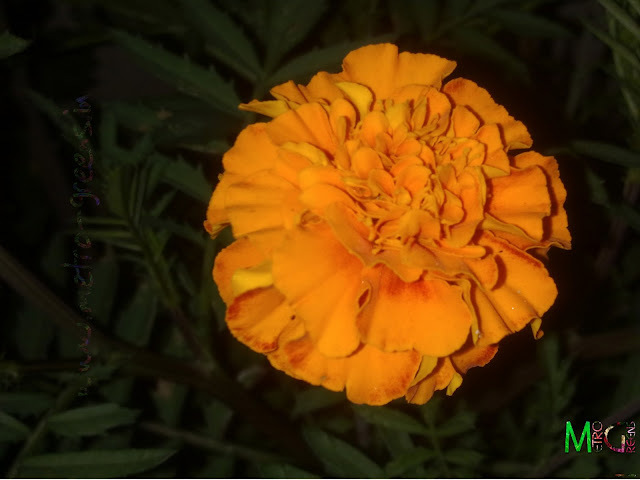 The marigolds are everywhere, in almost each pot, and there are many varieties, which to the best of my knowledge, never existed with me. 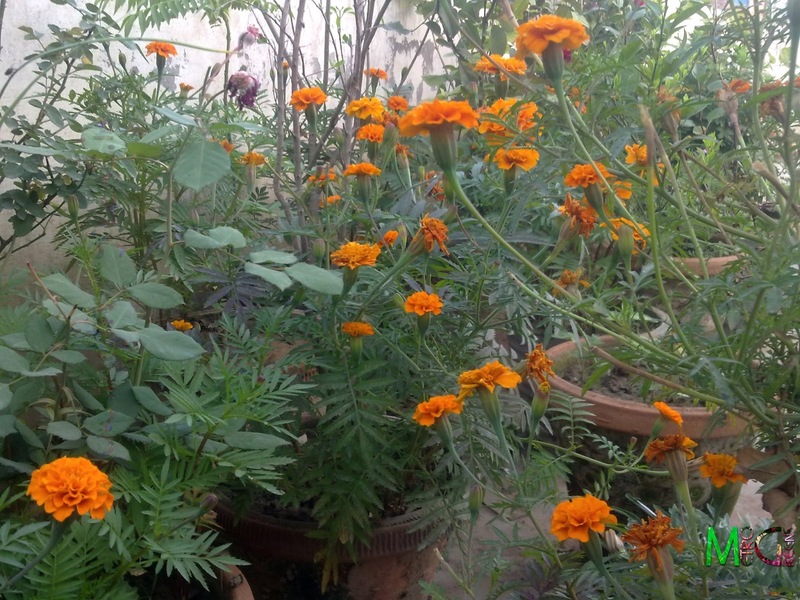 I simply used some marigold garlands, where some of the flowers now blooming in my pots, were never there in those garlands too. 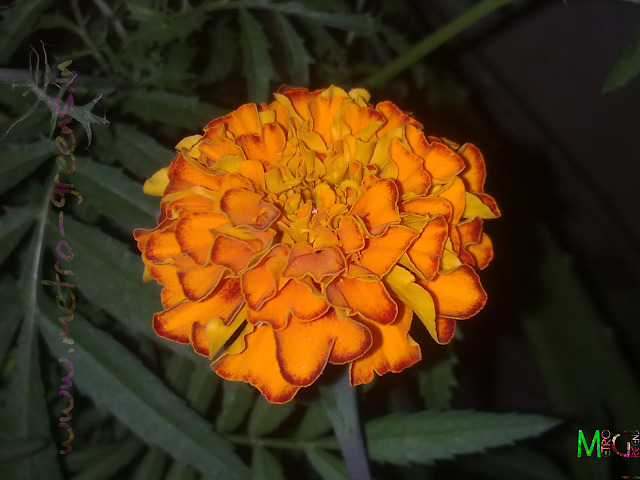 This is one never seen before marigold in one of my pots. I've decided to store it's dried flowers to sow them again the next time. One of my regular marigolds, an orange marigold flower. Another variety with dark maroon colours at the edges of the petals. Another variety of the marigolds. 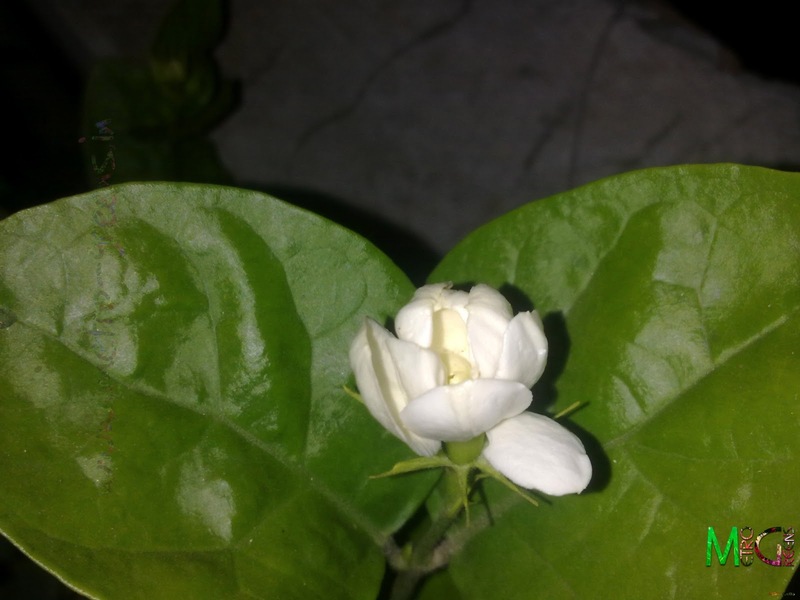 One of my two jasmine plants have started blooming. 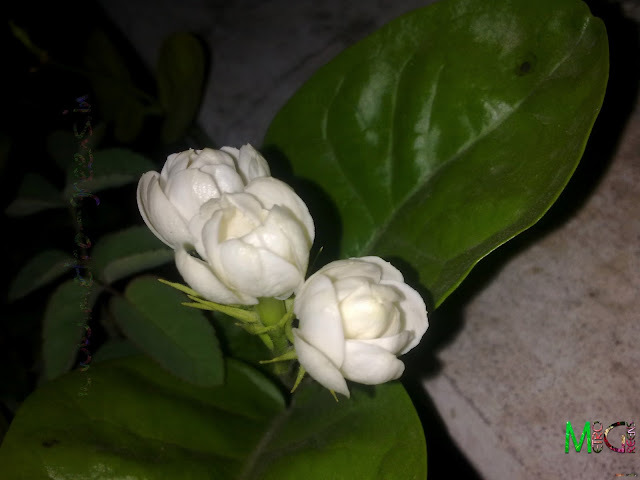 It's now in blooms. 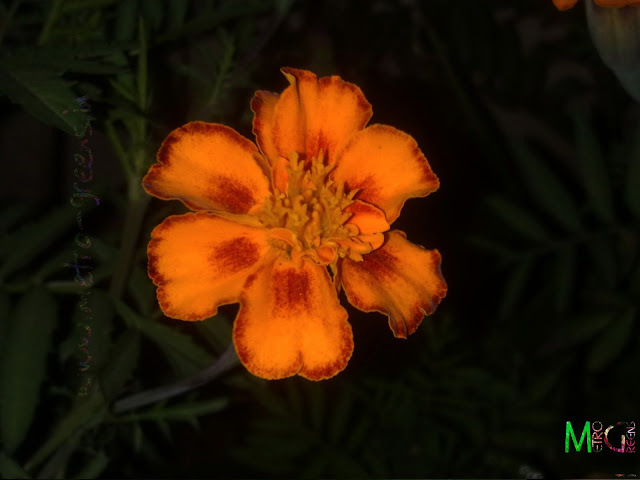 Here are some photos of some of the blooms. Triplets from one of my Arabian Jasmine plants. 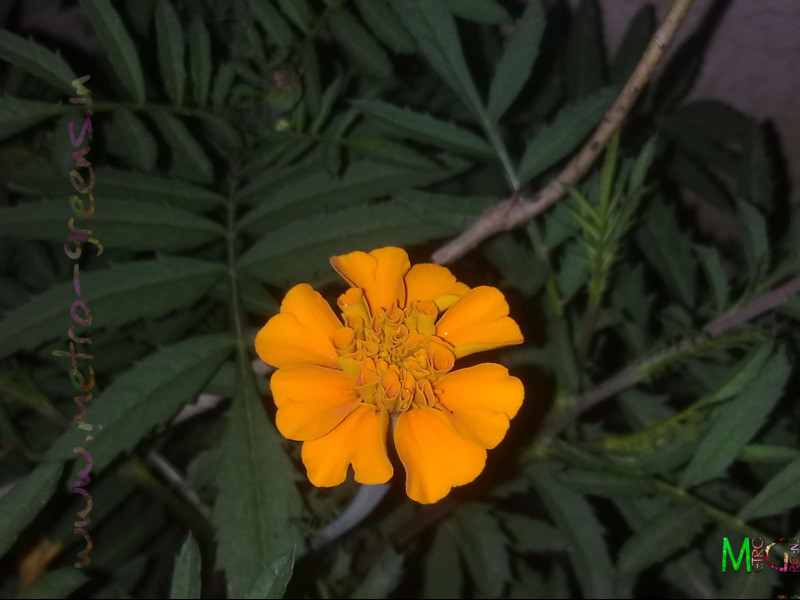 Another one from the same plant. 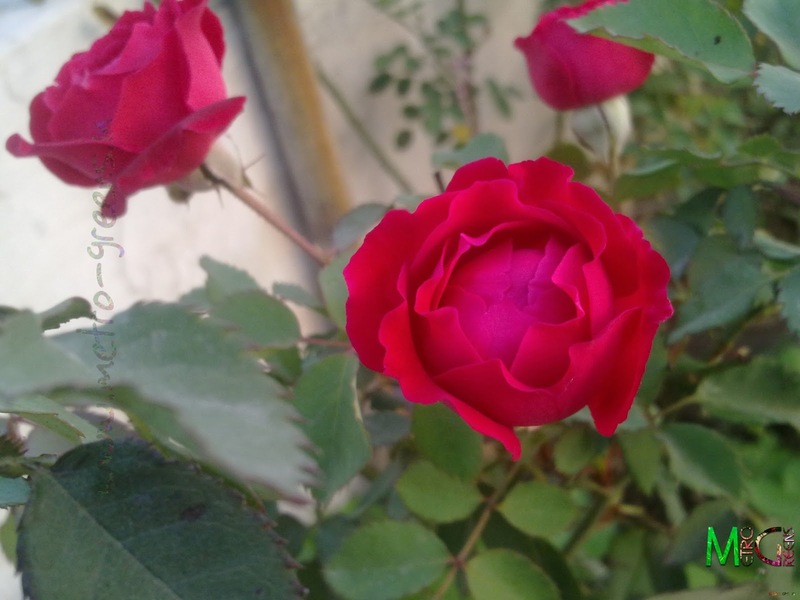 Many of my rose plants went to bloom this spring, particularly one of my red roses, a dark pink one and my orange rose plant. 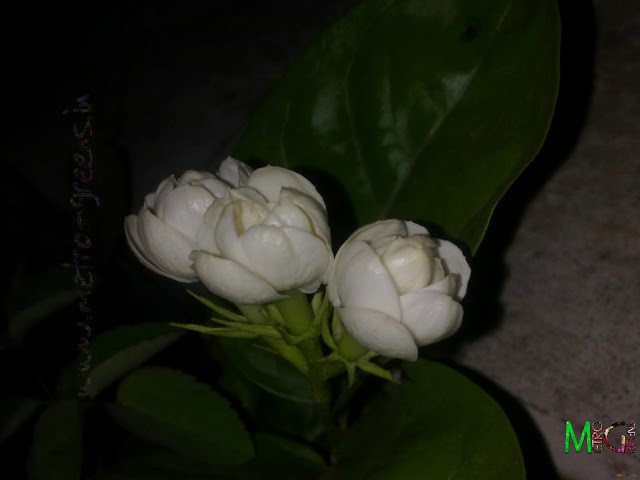 Here are some shots of some of the flowers. One of my red rose plants blooming during the spring. Some of you already know that I've been waiting for a treat for some time now. Here's an update on the present status of my treat. 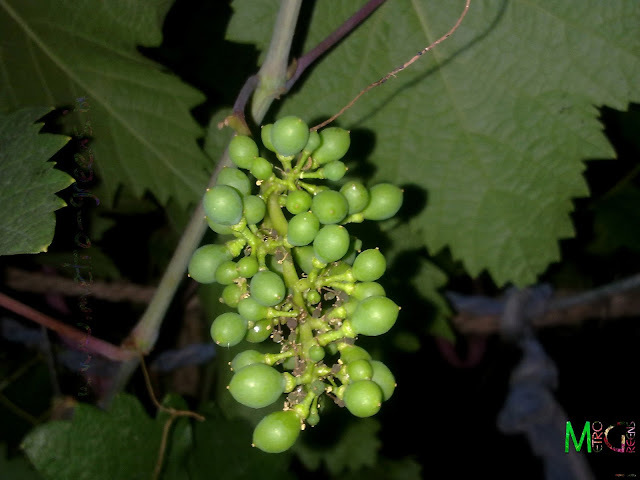 The first bunch of grapes on my small grapevine has started taking shape. Just what I need to feast my eyes on here in the chilly uk non-Spring ! Everything is sulking and won't show its face because it is just too cold !